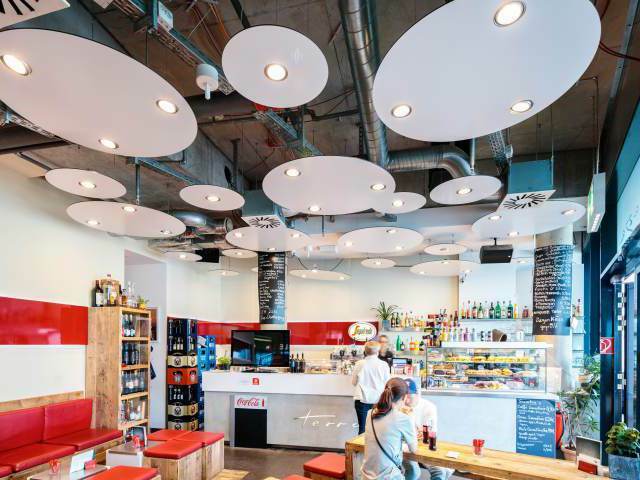 Terrazza, a stylish café/bar at ZOB Munich, serves breakfast and lunch as well as coffee and a range of other beverages in a convivial atmosphere. Drop in before your departure or on your arrival – or simply for a well-earned break! Terrazza has a range of Italian classics on the menu. There’s a wide selection of pasta, salads, antipasti, pizza and sandwiches, while the bar naturally serves invigorating Italian speciality coffees as well as freshly squeezed fruit juices.